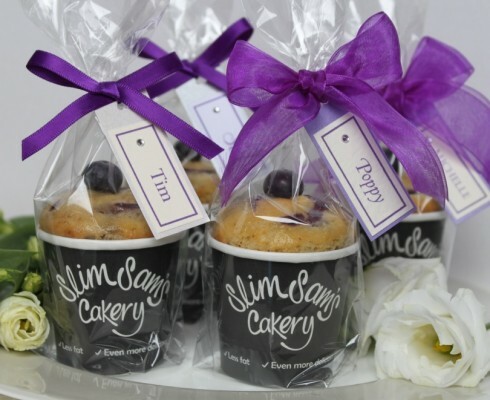 Slim Sam’s cakes make the perfect wedding favours to say thank you to your guests; a small token of your appreciation for their sharing in your special day. We present our cakes in a beautiful gift bag with a hand-tied ribbon, which we can customise to match your wedding theme. We can also add personalised labels or gift tags for your guests to give them a unique gift to remember. These can double up as place names – more original than a card with a name on it!